Cushions can either act as an understated complement to your living room or bedroom design, or a bold, loud contrast to the rest of the room. Many people who favour otherwise serious and subdued interior designs choose to use cushions as an opportunity to get silly and introduce a bit of novelty to the room. 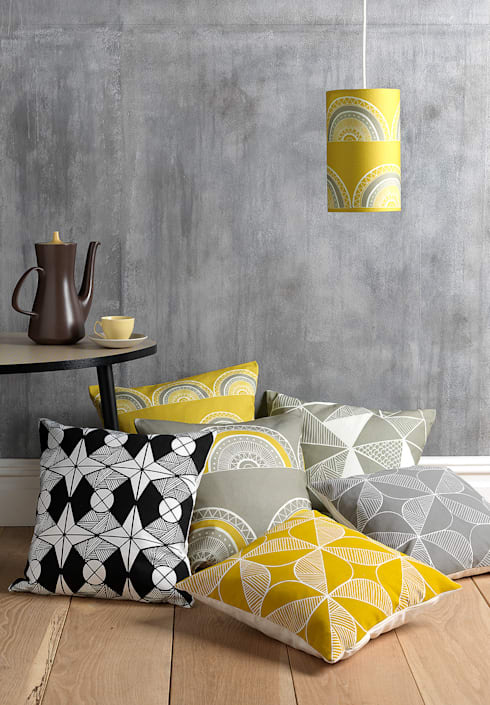 Cushion shopping is a chance to go wild with textiles, patterns and colours – if that’s what you want. Of course, cushions are not purely about aesthetics; they have a functional purpose too, so it’s important that you make comfy choices. The cushions in this ideabook will help ensure you sit – and lounge, lie and lean – in style. It’s difficult to imagine the room in which this out-there cushion would fit in perfectly. Probably because such a room doesn’t exist; wherever you put it, the vibrant colours and bold print of this cushion are always going to make it a conversation piece. However, it’s also hard to imagine resisting buying it if you happened to stumble across it in a shop. How often does the chance arise to own a cushion – or indeed any decor item – emblazoned with not one but two auto rickshaws? Very, very rarely, we’re willing to bet. Pairing grey with yellow is a design decision that can’t fail, but is still unusual enough to look highly fresh and modern. In this case, the addition of a matching lampshade also enhances the perfect combination of these cushions. 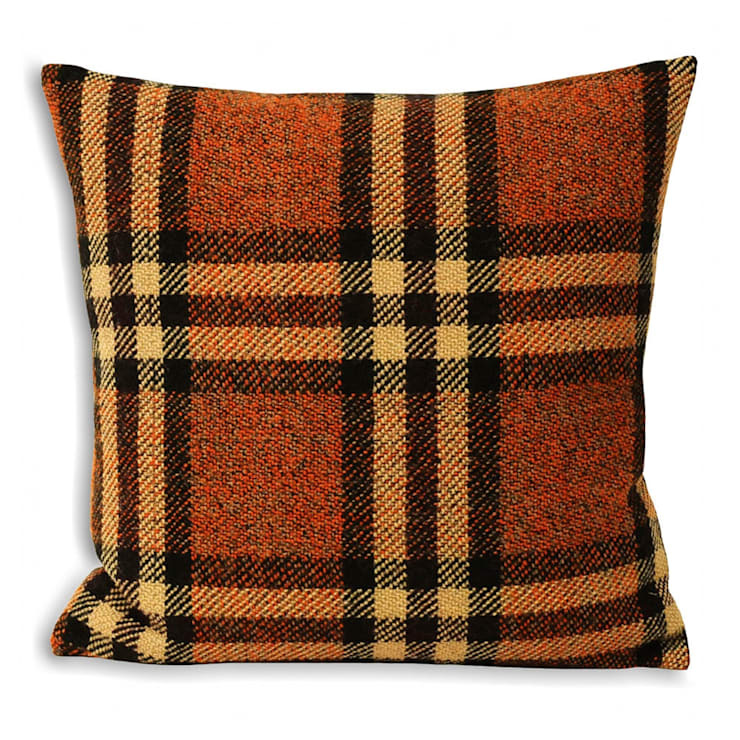 This tweed tartan cushion conjures up images of cosy evenings in by a real log fire, perhaps even in a log cabin. The very epitome of comfort – and the ultimate point of a cushion is, after all, to be comfortable. The 70s inspiration running through this textile design is apparent. The vintage print provides old fashioned comfort in a way that’s very tasteful and not overbearingly kitschy, as 70s-influenced design occasionally can be. The addition of the floral brooch on the left hand side adds a pleasing colour contrast and a little bit of extra interest to the design. 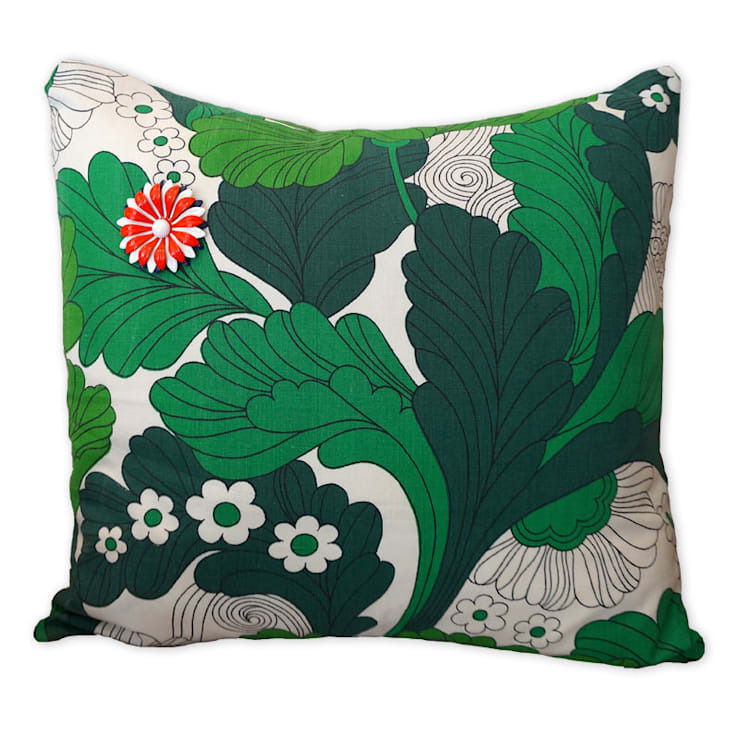 In another cushion from this designer, we can see the same formula working to great success again: take one vintage print, add 3D brooch in contrasting colour and voila: an old school accessory with a contemporary edge. Your individual cushion choice is important, but what makes even more of an impact is what you decide to pair your cushions with. In this case, choosing bright cushions that contrast strongly with each other and the wall behind has had a very positive effect, making the room seem very bright and cheerful. 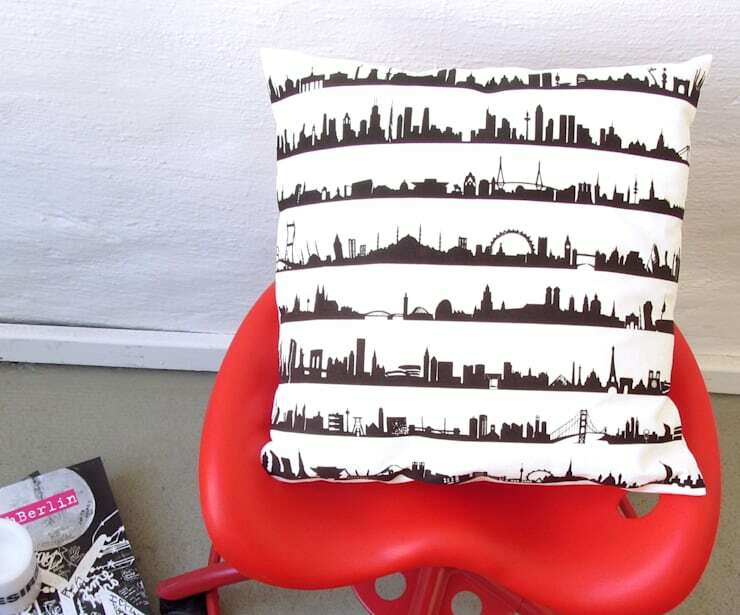 The silhouetted cityscape on this highly modern monochrome cushion would help it fit right in to any urban dwelling. Cushions come in all shapes and sizes, and novelty cushions – where the line with stuffed toys often becomes blurred – will always be a popular choice. 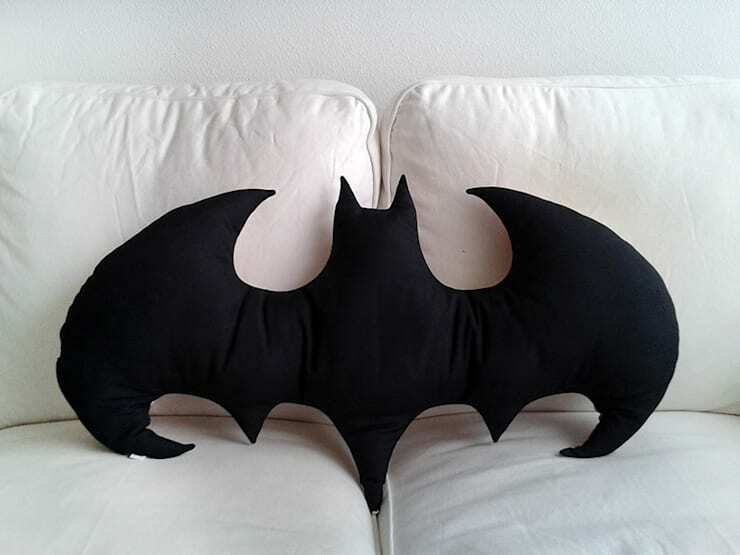 This Batman logo cushion is a good example. It’s fun and light-hearted, but because it doesn’t actually have a face it doesn’t slide too far into the realm of childishness (though it would be great for a kid’s room too, of course). 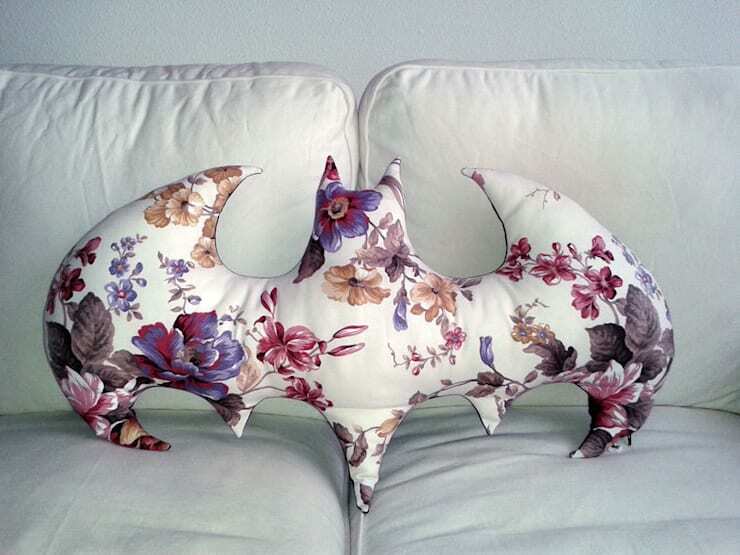 The same cushion design uses a totally unexpected floral fabric here to subvert the macho associations that tend to accompany superhero-related imagery and merchandise. 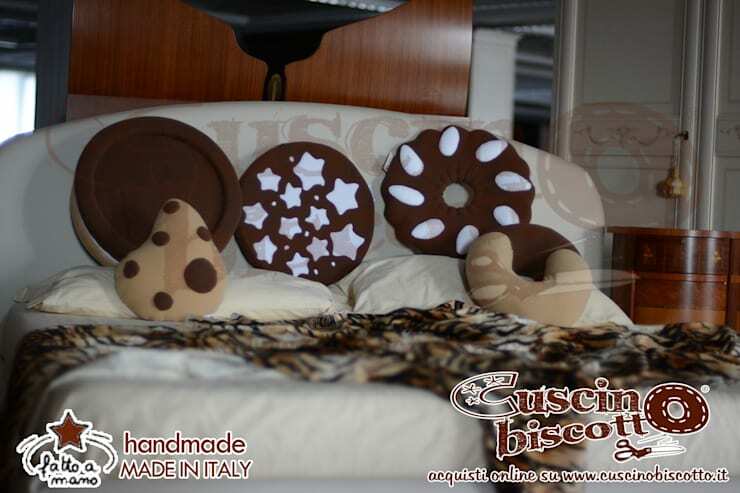 These tasty cushions in the shape of giant biscuits look good enough to eat. Probably better to stick to just leaning on them, though, for the sake of your digestive system. 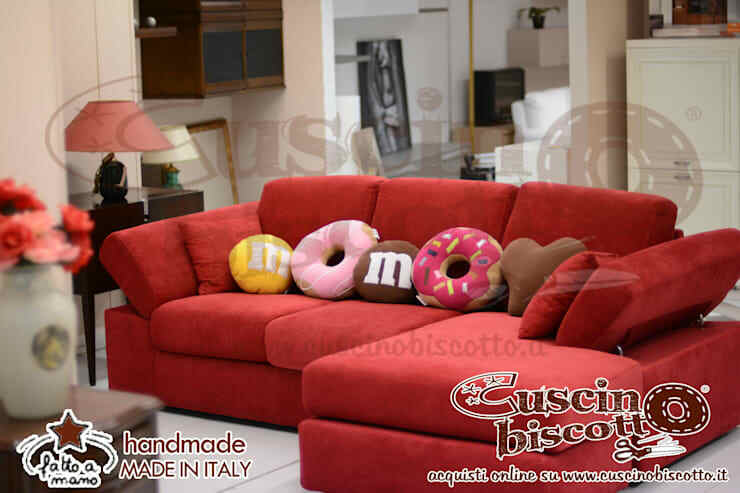 The same designer has branched out to branded sweet treats here, with these yummy M&M cushions. 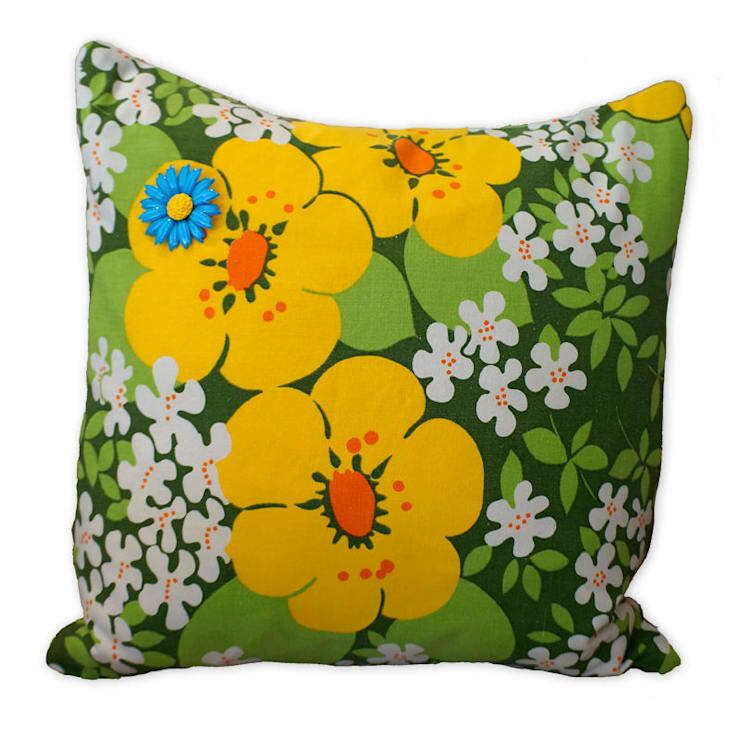 How do you feel about novelty cushions- thumbs up or thumbs down?